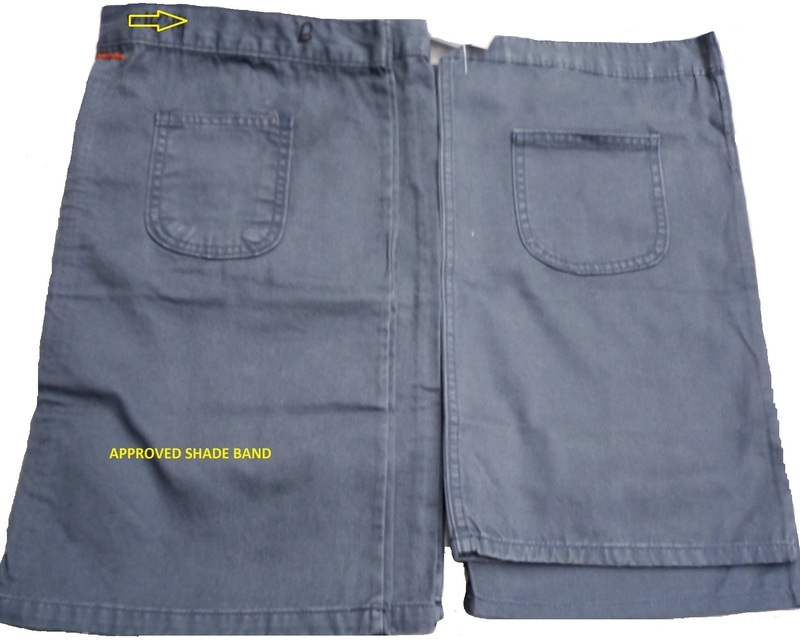 Before discussing Shade Band Submission and Approval Procedure in Garments Factory first let have some idea of what is shade band and why we need shade band so that you can understand the importance of shade band submission. Shade band is a color standard range for color evaluation process of finished garments to get garments within buyer standard color range. To ensure consistent shade, swatches from every roll & lot must be collected and placed on the “Color Continuity Card” for color assessment. Garments maker need to complete the bulk fabric shade band submission. No bulk production can begin until the merchandiser has signed off the Color Continuity. Submit the Color Continuity Cards to QC/Wash or fabrics QC or merchandisers. Buying house is responsible for the sign off of Color Continuity Cards. Collect swatches: Samples must be taken from every bulk lot of main and trim fabric. During the fabric inspection, the factory should cut the color samples from each roll or each dye lot displaying the range of color variation. Swatches must be taken from the front and end of the roll. Write the corresponding lot/roll number for identification. Garment wash: The swatches may be sent to a washing factory to check the color changes under one wash batch, which is subjected to the washing/ after treatment. Sorting the swatches into color batches – Put the swatches under the lightbox using TL84 and D60 to assess for any color variation. The swatches are compared to the fabric approval card and trim approval card. Group the swatches to different shade lots such as A, B, C, D, E… Mark the lot number on each swatch. Prepare the Color Continuity card: A 15 cm by 15 cm cutting from the swatches of each lot should be mounted on the Color Continuity Cards and fill in the appropriate column with an appropriate “lot number”. The total yardage of each dye lot is then recorded. Approval of Color Continuity card: The Color Continuity Card is prepared in a 3 duplicate set. Buying house responsible QC or merchandiser review these shade bands. Once the shade band has been agreed, a respective person should sign off one of the duplicate copies and return to factory for a record. Such copy should be kept in the factory laboratory for reference and the warehouse computer program is updated for roll shade identification. One of the duplicates may be sent to customers for approval or for reference. One of the duplicates will be kept in QC file. QC will use this as a standard for inspections. Agree with shade band: To control the color variation, an acceptable shade band should be agreed between buying house, buyer and garments maker prior to the cutting process. The color of bulk production must fall within the agreed shade band. In case the shade band is out of standard, advise the factories to contact their dying mills for improvement. Should there be extreme cases of shade variations, this will then be raised to QC manager and Merchandise Manager for decision making or eventually to customers. Shade/color evaluation of garments with buying house approved shade band should be under lightbox, at least 1000 lx light should be of buyer required light. If you have any question of Shade Band Submission and Approval Procedure in Garments Factory please let me know. I will try to give you more details. Tagged Approval Procedure in Garments Factory, Shade Band Approval Procedure, Shade Band Submission, Shade Band Submission and Approval Procedure in Garments Factory, Shade Band Submission in Garments Factory, Shade Band Submission Procedure in Buying House, What is Shade Band, Why need shade band.